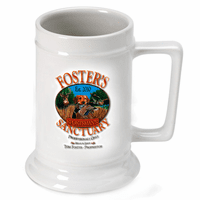 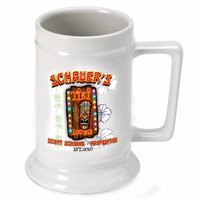 FEATURES/SPECS Have your own brand of tequila with this personalized tequila theme sixteen ounce beer stein. 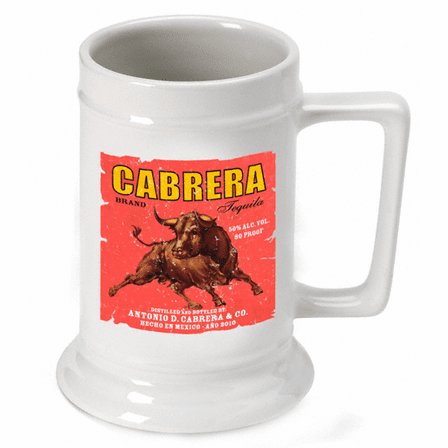 Made of solid white ceramic with a squared off handle, this beer mug comes printed with custom artwork that makes you a tequila distiller. 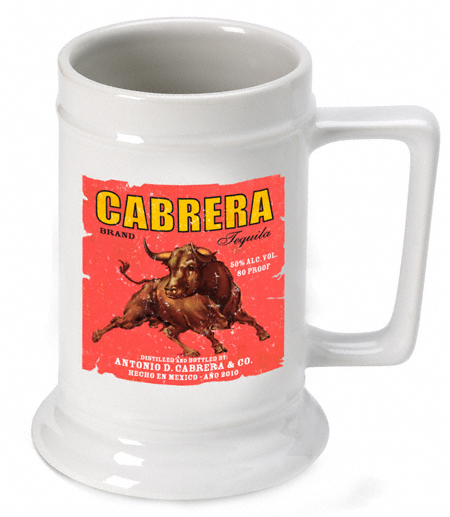 A raging bull on a vintage red background sets the tone and your last name is listed at the top as the tequila brand. 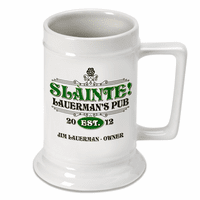 Finish off the look with your full name at the bottom listed as the distiller and bottler. 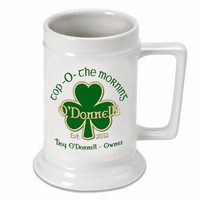 This personalized tequila mug is a great gift too, perfect for a fun loving friend.